On July 8, 2012, the “Tokyo Conference on Afghanistan” will be held in Tokyo. Since the September 11 terrorist attacks in the United States, the international community has continued its military, humanitarian and development support, to Afghanistan to ensure its security. Against this backdrop, the Government of Japan has played a leading role in supporting Afghanistan’s development through enhancing Afghanistanâ€™s independence so as not to let Afghanistan return to the hotbed of terrorism again by implementing such measures as the announcement of the Ogata Initiative, which includes seamless support from humanitarian assistance to that of restoration and reconstruction, and a comprehensive development plan focusing on priority areas; hosting of the International Conference on Reconstruction Assistance to Afghanistan (Tokyo Conference) in 2002; efforts for disarmament, demobilization, and reintegration (DDR) of former soldiers; the disbandment of illegal armed groups (DIAG) and the reintegration of former Taliban soldiers; education and basic medical treatment; development of farms and infrastructural preparations. At the International Afghanistan Conference in Bonn held in December 2011, the 10-year period during which the transition from the International Security Assistance Force (ISAF) to the Government of Afghanistan in order to maintain peace and security will be completed (from 2015 to 2024) was defined as the “Transformation Decade”, and the international community committed to offer financial contribution towards economic development and security costs. At the Meeting on Afghanistan, which was held on the occasion of the NATO Chicago Summit in May 2012, the international community reaffirmed their intention to continue to assist the Afghan National Security Forces (ANSF) beyond 2014 for the sustainable stability of Afghanistan, issuing a strategic message that the ANSF will continue to be sustainable beyond 2014. Based on the outcomes of the previous international conferences, the Tokyo Conference aims to pave the way to the sustainable development of Afghanistan, taking into account the situation after 2014. Tokyo international conference for development and economic stability of Afghanistan ended on 8thJuly 2012 with International donors pledges to assists $16 billion aid for Afghanistan over the next four years. The Tokyo conference is being attended by high-level delegates from more than 70 nations and international organizations. Islamic Republic of Afghanistan thanks the participants, donors and technical organizers of this conference and congratulates this great achievement for Afghanistan people. The economic vision of this conference is for long terms support for Afghanistan. Afghan experts have prepared 22 national priority programs based on their the prior one decade experience which reflect all the development and economic requirements of Afghanistan they highlighted the governance, agriculture, rural development, improvement of private sector and infrastructural projects are in the priority. By implementation of these programs Afghanistan will be self- sufficient, prosperous and economically developed on 2025. Ministry of Finance will prepare an aid administration policy with international community for financial reforms jointly. If the international community continues implementation of projects like in the past ten years and does not consider the current situation of Afghanistan, it will not so effective for the development of the country. Afghanistan and international community work together for effectiveness of this assistance after Tokyo conference. 1. 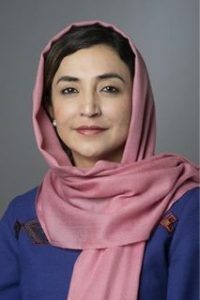 The Afghan Government and the International Community (hereafter ”the Participants”) met on July 8, 2012 in Tokyo to reaffirm and further consolidate their partnership from Transition to the Transformation Decade. The Tokyo Conference, together with the Chicago Summit of Afghanistan and ISAF contributing countries of May 2012, established a renewed stronger foundation for partnership to support sustainable growth and development of Afghanistan throughout the Transformation Decade (2015-2024). These undertakings are built on the outcome of the Bonn Conference in December 2011, where the Afghan Government and the International Community mutually renewed their long-term commitments in the areas of governance, security, peace process, economic and social development, and regional cooperation, as well as on the outcomes of the previous international conferences such as the London Conference in January 2010 and the Kabul Conference in July 2010. Chaired by the Japanese and Afghan Governments with the participation of ministers and representatives from 55 countries and 25 international and other organizations from around the world, today’s conference also recognized the increasing roles of new partners and neighboring and regional countries for the sustainable development of Afghanistan. 2. Since the landmark Tokyo Conference of January 2002, with the steadfast and strong support of the International Community, financial and otherwise, Afghanistan has achieved substantial development and made notable progress in many fields of development, including education, health, roads, electricity, and telecommunication, as illustrated at the symposium hosted by Japan International Cooperation Agency (JICA) on July 6, 2012 in Tokyo. Building on the long-held aspiration of the Afghan people, Afghanistan has laid down the foundations of the democratic system of government, including the promulgation of its new Constitution, enshrining a commitment to pluralism and human rights, in particular the equal rights of women; and the development of increasingly active civil society and vibrant and open media. 3. However, much remains to be done to realize the aspirations of the Afghan people for a peaceful, stable and self-sustaining Afghanistan. With support from the International Community, Afghanistan will continue its progress on such issues as security, with a focus on terrorism and counter-narcotics, poverty reduction, humanitarian needs, provision of basic social services, food security, protection of human rights in particular the rights of women and children, respect for individual dignity, promotion of education and culture, improvement of governance, reducing corruption, lessening reliance on international assistance, and promotion of private investment, thereby contributing to human security. 4. At the Bonn Conference, Afghanistan and the International Community shared a vision for long-term partnership to help Afghanistan attain sustainable economic growth and development and fiscal self-reliance from Transition through the Transformation Decade. Today in Tokyo, the Afghan Government and the International Community succeeded in transforming their mutual commitments made in Bonn to cooperate throughout the Transformation Decade into a solid and credible framework focused on the priorities of the Afghan Government as contained in its strategy paper Towards Self-Reliance. At today’s Conference, Afghanistan and the International Community established the Tokyo Mutual Accountability Framework (hereinafter the ”Tokyo Framework”), which underpins our partnership for the Transformation Decade. 5. The Participants reaffirmed their respect for the sovereignty, unity, territorial integrity and independence of Afghanistan, which constitutes an integral component of the peace, well-being and prosperity of the region and beyond. The Participants reaffirmed that peace and security are the foundation on which a stable and prosperous society is built. The Participants recognized that the main threat to Afghanistan’s security and stability comes from terrorism and that this threat also endangers regional and international peace and security. In this regard, the Participants recognized the regional dimensions of terrorism and extremism, including terrorist safe havens, and emphasized the need for sincere and result-oriented regional and international cooperation towards a region free from terrorism in order to secure Afghanistan and safeguard the region and the world against the terrorist threat. The Participants renewed their firm determination to combat terrorism and extremism in all their forms and never to allow Afghanistan to become a sanctuary for international terrorism again. 6. The Participants stressed the critical importance of reducing drug and precursor production and trafficking, which poses another challenge to Afghanistan’s security and its economic growth as well as to international peace and stability; and the responsibility of neighboring and consuming countries to address the demand aspect of counter narcotics. In this context, the Participants took note of the importance of outcomes of the 3rd Ministerial Conference of the Paris Pact Partners on Combating the Illicit Drugs and Opiates Originating in Afghanistan held on February 16, 2012 in Vienna. The Afghan Government and the International Community reiterated their determination to counter the menace of illicit narcotic drugs through such means as crop eradication, dismantling of drug production infrastructure and promotion of alternative agriculture and law enforcement, cooperation against illicit drugs and precursor chemicals, as well as money laundering and corruption linked to such trafficking. The Participants stressed that key to this is an end to conflict and the development of alternative livelihoods, as well as effective law enforcement, border control and anti-corruption measures; and the health sector must be able to provide care for those suffering from drug abuse. 7. The Participants welcomed the progress of the Transition process so far. With the announcement of tranche 3 on May 13, 2012, 75 percent of the population will now come under the security protection provided by the Afghan National Security Forces (ANSF). By mid-2013, all parts of Afghanistan will have begun transition and the Afghan forces will be in the lead for security nation-wide, allowing the withdrawal from Afghanistan of the International Security Assistance Force (ISAF) by the end of 2014. The Participants stressed the importance of protecting civilian population in accordance with international humanitarian law and international human rights law. The Participants reaffirmed the importance for Afghanistan to attain a fully professional, capable and accountable ANSF that protects the civilian population, in particular women and children, respects the Constitution, and observes Afghan and international laws. 8. The Participants welcomed the clear vision and appropriately funded plan for a sufficient and sustainable ANSF during the Transformation Decade as endorsed at the Chicago Summit of Afghanistan and ISAF contributing countries of May 2012. The International Community reaffirmed its intention to support the training, equipping, financing, and capability development of the Afghan National Army (ANA) and Afghan National Police (ANP) during the Transformation Decade, with the understanding that over the coming years, the International Community is to gradually reduce its financial contribution commensurate with the assumption by the Afghan Government of increasing financial responsibility. The pace and the size of a gradually managed force reduction to a sustainable level are to be conditions-based and decided by the Afghan Government in consultation with the International Community. Development of civilian policing and rule of law capabilities will be among the priorities. International assistance is to be delivered using appropriate, coherent and effective mechanisms guided by the principles of flexibility, transparency, accountability, anti-corruption and cost effectiveness. 9. The Participants reaffirmed the importance of the peace and reconciliation process with a view to ending the ongoing violence in the country and restoring lasting peace and security as per the UN Security Council Resolutions and as stated in the London and Kabul Communiqu}s, and reconfirmed in the Bonn Conclusions. The process that will lead to reconciliation and peace must be inclusive, represent the legitimate interests of all Afghans and be Afghan-led and Afghan-owned. In this context, the Participants reiterated the importance of reconciliation principles such as the renunciation of violence, the breaking of ties to international terrorism and respect for the Afghan Constitution, including its human rights provisions, notably the rights of women, and emphasized the region’s respect and support for the peace process and its outcome. The Participants recognized the importance of reintegration as an integral part of the peace process, which will pave the way for community recovery and post-conflict rehabilitation of Afghan society through improving security, community development and local governance. In this regard, the International Community welcomed the progress made in reintegration efforts so far including the reintegration of over 4,700 ex-combatants. The International Community welcomed the appointment of the new Chairman of the High Peace Council, Mr. Salahuddin Rabbani, reaffirmed its strong support for the peace efforts of the Afghan Government through the High Peace Council and the Afghan Peace and Reintegration Program (APRP), and called upon the regional countries that can play a positive role to extend all possible cooperation to ensure the success of the peace process. The Participants also stressed the importance of the participation of civil society organizations and women’s groups in support of the peace process and the culture of peace and human rights in Afghan society in particular in the light of the UN Security Council Resolution 1325. 10. The Participants underscored that sustainable return and reintegration of Afghan refugees and internally displaced persons is essential to security and stability. The International Community reaffirmed the commitment, including in the Solutions Strategy made at UNHCR Geneva Conference on May 2 and 3, 2012, to enhance the development and reintegration potential in Afghanistan to create communities that are viable in the long-term and support the increased return of refugees from neighboring countries. The Afghan Government and the International Community acknowledged the burden of Afghanistan’s neighbors, in particular Pakistan and Iran, in providing temporary refuge to millions of Afghan in difficult times and are committed to further work towards their voluntary, safe and orderly return. 11. The Participants recognized that good governance at national and sub-national levels is essential for strong and sustainable economic development and improved livelihoods of the Afghan people. Through the Tokyo Framework, the Afghan Government and the International Community reaffirmed their partnership in the economic growth and development of Afghanistan through a process of mutual accountability, and the transformation of the relationship from recipient and donors to owner and partners. 12. The Participants shared the view that the International Community’s ability to sustain support for Afghanistan depends upon the Afghan Government delivering on its commitments as part of this renewed partnership. In this context, the Afghan Government confirmed its resolve, as expressed at Bonn, that the future of its political system will continue to reflect its pluralistic society and remain firmly founded in the Afghan Constitution. The Afghan people will continue to build a stable, democratic society, based on the rule of law, effective and independent judiciary and good governance, including progress in the fight against corruption. The Afghan Government affirmed that the human rights and fundamental freedoms of its citizens, in particular the equality of men and women, are guaranteed under the Constitution and Afghanistan’s international human rights obligations. The Afghan Government committed to conducting free, fair, transparent, and inclusive elections in 2014 and 2015, in which all the people of Afghanistan participate freely without internal or external interference. 13. The International Community also noted the Afghan Government’s progress on economic governance and ongoing partnership with the International Monetary Fund, the World Bank, the Asian Development Bank and the Islamic Development Bank. The International Community welcomed Afghanistan’s efforts to date and noted the importance of further actions, including the resolution of the Kabul Bank issue. 14. The Participants reaffirmed their shared goal of achieving Afghanistan’s long-term economic growth and fiscal self-reliance. To achieve this objective, the Afghan Government has developed Towards Self-Reliance, a strategy for sustainable growth and development to be implemented through the National Priority Programs (NPPs), with a focus on economic growth, revenue generation, jobs, and human development. The Afghan Government is to continue with the planning and implementation of these NPPs in proper and needed sequencing well into the Transformation Decade with reviews at appropriate intervals. The International Community welcomed the Afghan strategy, and reaffirmed its commitment of aligning 80 percent of aid with the NPPs and channeling at least 50 percent of its development assistance through the national budget of the Afghan Government in accordance with the London and Kabul Communiqu}s. In this regard, donors welcomed the headline results from the Afghanistan Reconstruction Trust Fund (ARTF) review which confirm that there are established and credible mechanisms donors can use to meet their 50 percent on budget commitment beyond 2014. The Participants encouraged other partners, such as the UN agencies, to support alignment and on-budget mechanisms both through their policy roles and their programmatic activities. 15. The Participants reiterated that the Afghan Government will have special, significant, and continuing but declining fiscal requirements that cannot be met by domestic revenues in the years following Transition as has been estimated by the World Bank and the Afghan Government in preparation for the Tokyo Conference. To help address the budget shortfall, the International Community committed to directing financial support towards Afghanistan’s economic development through the Transformation Decade. In this context, in the initial stage of the Transformation Decade, the International Community committed to providing over 16 billion US dollars through 2015, and sustaining support, through 2017, at or near levels of the past decade to respond to the fiscal gap as estimated by the World Bank and the Afghan Government. 16. Regional cooperation and integration contribute to the sustainability of development efforts, through increasing economic and trade opportunities as well as enhancing political dialogue. Keeping in mind that sustained engagement of Afghanistan’s regional partners remains key to addressing common challenges, such as terrorism, extremism, illicit drugs, refugees, disaster risk reduction, barriers to trade, investment and economic growth, the role of regional processes and fora that facilitate regular political dialogue and contribute to the building of confidence among countries is extremely important. In this context, the Participants recognized the importance of the Afghan-led and regionally owned Istanbul Process, launched on November 2, 2011, and welcomed the progress of the Istanbul Process as it moves forward incrementally towards practical implementation, by the relevant countries and organizations, of the prioritized confidence building measures (CBMs), as a crucial step towards deepening cooperation, interaction and confidence among Afghanistan’s near and extended neighbors. The Participants welcomed the outcome of the very successful ‘Heart of Asia Ministerial Conference-Kabul’ on June 14, 2012, and looked forward to the next ministerial conference to be held in Kazakhstan in the first half of 2013 . 17. The Participants encouraged further efforts for the promotion of regional economic cooperation through various other regional fora such as the Conference on Interaction and Confidence Building Measures in Asia (CICA), the Economic Cooperation Organization (ECO), the Organization of Islamic Cooperation (OIC), the Shanghai Cooperation Organization (SCO), the South Asian Association for Regional Cooperation (SAARC) and the United Nations Special Program for the Economies of Central Asia (UNSPECA). The participants also welcomed the decision of the SCO to grant Observer status to Afghanistan. 18. The Participants reaffirmed that, Afghanistan being a landlocked country, it is vital to realize the vision of regional connectivity and economic integration, where Afghanistan can serve as a hub and a land-bridge at the center of a stable and prospering region. The International Community is encouraged to support NPP projects which promote regional economic cooperation and to provide funding for the Afghanistan Infrastructure Trust Fund (AITF) managed by the Asian Development Bank (ADB). The Participants emphasized the importance of implementing projects at the regional level, including projects and programs identified in the Fifth Regional Economic Cooperation Conference on Afghanistan (RECCA V), and those identified by the Central Asia Regional Economic Cooperation (CAREC) in 2011 in the areas of transport, trade, energy and other key sectors. 19. The Participants reaffirmed the importance of enhancing trade connectivity along historical trade routes, and promoting trade, transit, investment, and border management toward regional and global integration and the creation of an enabling environment. The Participants welcomed the conclusion of the Afghanistan-Pakistan Transit Trade Agreement (APTTA), the transit agreement between Afghanistan and Tajikistan, and the Agreement on Cross-Border Transport of Persons, Vehicles, and Goods (CBTA) among Afghanistan, the Kyrgyz Republic and Tajikistan within the framework of CAREC. 20. The Participants shared the view that developing a vibrant private sector will be essential for sustainable development of Afghanistan particularly for the long term; and that it requires the firm commitment of the Afghan Government to taking all steps necessary to achieve an enabling business environment, including establishing regulatory frameworks and building necessary infrastructure. The Participants noted the importance of promoting domestic and foreign investment in Afghanistan. The Participants also encouraged the creation of models for cross-country partnerships in investment whereby international investors can engage in partnership arrangements with those from within the region as well as with local Afghan entrepreneurs. In this context, the importance of job creation and initiatives targeting youth and women employment should be emphasized. 21. As far as investment priorities are concerned, the extractive industries, which already attract growing interest of private investors, as well as others of Afghanistan’s productive sectors, such as agriculture and energy, will be crucial in attracting private sector investment in the interest of sustainable, inclusive economic growth and job creation in Afghanistan. In this context, the Afghan Government’s Resource Corridor approach is noteworthy. 22. The Participants welcomed the results of the Delhi Investors’ Summit on Afghanistan hosted by the Confederation of Indian Industries on June 28 in Delhi, which benefitted from many participants from neighboring countries, and underscored the importance of implementing the recommendations of the summit. The Participants reaffirmed the significance of risk mitigation and credit provision schemes by the International Community in promoting private sector investment in Afghanistan. The International Community committed to taking concrete steps to promote private investment and trade by mobilizing relevant development finance institutions, export credit authorities, and other governmental and nongovernmental tools to encourage human and financial capital investments in Afghanistan. The Participants also reaffirmed the importance of women’s participation in private sector conferences as reinforcing the need for inclusive development and recognition of women’s rights. 23. The Participants emphasized the role of the Afghan civil society in advocating for and supporting human rights, good governance and sustainable social, economic and democratic development of Afghanistan through a sustained dialogue. The Participants reaffirmed that a thriving and free civil society based on respect for human rights and fundamental freedoms, in particular the equality of men and women, enshrined in the Afghan Constitution, will be key to achieving a more pluralistic society in Afghanistan. 24. The Participants took note of the statement by Afghan civil society organizations at the Tokyo Conference. The Participants also welcomed the results of the civil society event jointly organized by Japanese and Afghan NGOs on July 7 in Tokyo. 25. To ensure continuity and progress, the Afghan Government and the International Community decided to establish a follow-up mechanism to review their mutual long-term commitments laid out in this Declaration and the Tokyo Framework, and to verify the fulfillment of these commitments based on the notion of mutual accountability. For this purpose, the Participants decided, under the framework of the Kabul process, that follow-up meetings will take place at the ministerial level every two years, in between years at the senior officials level, and at more regular intervals under the Afghan-UN led Joint Coordination and Monitoring Board (JCMB) mechanism. 26. The Afghan Government expressed its appreciation to the International Community for its steadfast support for the security and development of Afghanistan notably for renewing its commitment at today’s Conference to support Afghanistan during the Transformation Decade. The Afghan Government also recognized with appreciation the supporting role of the UN organizations, including United Nations Assistance Mission for Afghanistan (UNAMA) in Afghanistan’s development process. 27. The Participants, and in particular the Afghan Government, expressed their deep appreciation to the Government and people of Japan for hosting the Tokyo Conference and for their steadfast support for Afghanistan’s stabilization and development. The Participants look forward to next ministerial meeting to be co-hosted by Afghanistan and the United Kingdom within the year 2014 after the presidential election in Afghanistan. 1. The Afghan Government and the International Community reaffirm their partnership in the economic growth and development of Afghanistan through a process of mutual accountability in achieving mutually decided goals as laid out in this document, hereafter the ”Tokyo Framework”. The International Community’s ability to sustain support for Afghanistan depends upon the Afghan Government delivering on its commitments described in the Tokyo Framework. This document establishes an approach based on mutual commitments of the Afghan Government and the International Community to help Afghanistan achieve its development and governance goals based on the International Community’s commitments in the Tokyo Framework. The Tokyo Framework establishes a mechanism to monitor and review commitments on a regular basis. 2. Good governance is essential for strong and sustainable economic development and improved livelihoods of the Afghan people. Recognizing this fact, this accountability framework concretizes the mutual commitments decided in the Kabul Process and reaffirmed at the Bonn Conference by stipulating shared development and governance goals and a mechanism as described in this document to hold parties accountable for achieving them. The goals are consistent with the Afghan Government’s economic and development strategy presented in Towards Self-Reliance. 3. At the December 2011 Bonn Conference, the International Community affirmed the special status of Afghanistan to receive donor assistance from Transition through Transformation in greater measure than similarly situated nations. The Afghan Government and the International Community are bound by their citizens’ expectations for the effective and transparent stewardship of resources. 4. The Afghan Government reaffirms its solemn commitment to strengthen governance, grounded in human rights, the rule of law, and adherence to the Afghan Constitution, and holds it as integral to sustained economic growth and development. 5. Working in partnership with the International Community, the Afghan Government seeks sustained development, economic growth and fiscal sustainability with declining reliance on donor financing as articulated in Towards Self-Reliance. To fulfill this vision, the Afghan Government has put together the National Priority Programs (NPPs), and, in consultation with International Community, is developing an Aid Management Policy to be endorsed by the Joint Coordination and Monitoring Board (JCMB) by December 2012 to ensure optimal execution and effectiveness of international assistance aligned with national priorities. 6. As Afghanistan enters the Transformation Decade, progress from the past decade in areas that underpin sustained economic growth and development, especially for women and girls, such as education, health and other basic services, as well as strengthened respect for human rights, must continue. Challenges such as vulnerability to natural disasters and humanitarian needs must also be addressed jointly in an effective and appropriate manner in Transition and the Transformation Decade. 7. Successful transition will lead to a decade of Transformation where Afghanistan will build on the benefits of Transition to become an effectively governed and economically, socially progressing country driven by its own national priorities. This requires a paradigm shift in the nature of partnership between the Afghan Government and the International Community, from that of being recipient and donors to owner and partners. The realization of this shift necessitates re-defining the principle, reciprocal commitments and modalities of partnership, which is the purpose of the Tokyo Framework. The Tokyo Conference is the turning point to begin this re-definition in our partnership. oRegional cooperation facilitates the integration of regional economies, thus contributing to the sustainability of development efforts in Afghanistan. 9. The Participants emphasize the importance of the delivery of assistance through adhering to the principles of aid effectiveness, that they cannot continue ”business as usual,” and must move from promise to practice. The Tokyo Framework sets out a new reinvigorated development partnership between the Afghan Government and the International Community. 10. The Afghan Government and the International Community affirm that a functional democracy based on credible and inclusive elections, a professional and efficient civil service, access to justice and the rule of law are essential to a secure, just, stable and prosperous Afghanistan. Strengthened governance and institutions with a particular focus on the rights of women are prerequisites for strong and sustainable economic growth, employment generation and prosperity for the Afghan people. 11. The Afghan Government and the International Community are to monitor performance for five major areas of development and governance according to the modalities described below. A timeline for these indicators is to be developed by the Afghan Government for the next JCMB meeting. The desired goals and initial indicators for each area are stated below. Goal: Conduct credible, inclusive and transparent Presidential and Parliamentary elections in 2014 and 2015 according to the Afghan Constitution, in which eligible Afghan citizens, men and women, have the opportunity to participate freely without internal or external interference in accordance with the law. oEnsure that a robust electoral architecture is developed in a secure, participatory and transparent manner to enable successful and timely elections. Goal: Improve access to justice for all, in particular women, by ensuring that the Constitution and other fundamental laws are enforced expeditiously, fairly and transparently; ensure that women can fully enjoy their economic, social, civil, political and cultural rights; fight against corruption, including strengthening counter-narcotics efforts; and improve the capacity of state institutions. oEnact and enforce the legal framework for fighting corruption including, for example, annual asset declarations of senior public officials including the executive, legislative and judiciary. Goal: Improved integrity of public financial management and the commercial banking sector. oImplement the recommendations from the Financial Action Task Force Asia Pacific Group regarding anti-money laundering and combating terrorist financing. Goal: Improve the Afghan Government’s revenue collection and capacity of line Ministries’ to develop and execute budgets accountable to, and incorporating, local needs and preferences. oDevelop a provincial budgeting process that includes provincial input into the relevant Ministries formulation of budget requests, linked to a provincial planning process in which Provincial Councils have their consultative roles. Goal: Achieve inclusive and sustained growth through a focus on human development, food security, private investment, and decent work and employment opportunities and the improvement of ranking in the human development index. oTake steps necessary to achieve World Trade Organization (WTO) accession by the end of 2014. 12. The Participants reiterate that the Afghan Government will have special, significant, and continuing but declining fiscal requirements that cannot be met by domestic revenues in the years following Transition as has been estimated by the World Bank and the Afghan Government in preparation for the Tokyo Conference. To help address the budget shortfall, the International Community commits to directing financial support towards Afghanistan’s economic development through the Transformation Decade. In this context, in the initial stage of the Transformation Decade, the International Community commits to providing over 16 billion US dollars through 2015, and sustaining support, through 2017, at or near levels of the past decade to respond to the fiscal gap as estimated by the World Bank and the Afghan Government. 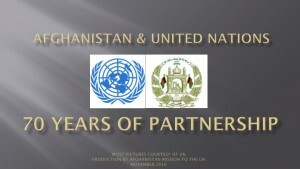 The International Community welcomes the Afghan strategy, and reaffirms its commitment of aligning 80 percent of aid with the NPPs and channeling at least 50 percent of its development assistance through the national budget of the Afghan Government in accordance with the London and Kabul Communiqu}s.
13. Participating donors aim to increase the share of their assistance provided via the Afghanistan Reconstruction Trust Fund (ARTF) incentive program, or other mechanisms as requested or agreed by the Afghan Government, to 10 percent by 2014, with a goal of 20 percent of funding through incentive mechanisms by the end of the Transformation Decade. Incentive programs should seek to provide the Afghan Government with more flexible, on-budget funding in conjunction with progress on specific economic development achievements. 14. The International Community commits to taking concrete steps to improve aid delivery consistent with partnership and global aid effectiveness principles, and adhering to the Afghan Government’s Aid Management Policy upon completion and endorsement by the JCMB by December 2012. Alignment of donor assistance to Afghan National Priorities is to be determined in reference to specific deliverables outlined by the Afghan Government in the approved NPPs. Donors intend to consult with the Afghan Government to identify appropriate funding modalities for implementing Afghan National Priorities. The Afghan Government may decline any aid financing that is insufficiently aligned with Afghan Government’s priorities, has a low return on investment or high transaction costs. 15. The International Community aims to limit the practice of sub-contracting in all specialized and labor-intensive projects to only one vertical level to reduce overhead costs and improve transparency. 16. The Afghan Government and the International Community decide to establish a mechanism to monitor their performance of indicators and work plans through an established review process, building on the JCMB process. The Afghan Government, facilitated by the Ministry of Finance and relevant ministries, is responsible for achieving the governance and development indicators specified in the Tokyo Framework. Development partners are responsible for delivering on their aid commitments stated in the Tokyo Declaration and the Tokyo Framework. 17. The Afghan Government and the International Community are to implement the Tokyo Framework according to the modalities outlined below. The Afghan Government and the International Community are to establish a transparent and regular monitoring process, building on a reinvigorated Kabul Process and JCMB, to hold each other accountable for reciprocal commitments. oA Ministerial-level Meeting to be held in 2014, and every second year subsequently to review progress, update indicators, assess resource requirements and renew international commitments. 19. The first Ministerial-level Meeting will be co-chaired by Afghanistan and the United Kingdom. On July 8 (Sunday), the Japanese and Afghan Governments jointly held the Tokyo Conference on Afghanistan. A summary and evaluation of the conference are as follows. At the Conference, the Tokyo Declaration was adopted. (attached). (Chaired by H.E. Mr. Koichiro Gemba, Minister for Foreign Affairs of Japan; H.E. Dr.
Hazrat Omar Zakhilwal, Minister of Finance of Afghanistan; H.E. Dr.
Major participants:H.E. Mr. Hamid Karzai, President of Afghanistan; H.E. Mr. Ban Ki-Moon, Secretary-General of the UN; H.E. Ms. Hillary Clinton, Secretary of State of the US; H.E. Mr. Laurent Fabius, Minister of Foreign Affairs of France; H.E. Dr. Guido Westerwelle, Federal Minister for Foreign Affairs and Deputy Chancellor of Germany; Rt Hon Mr. Andrew Mitchell MP, Secretary of State for International Development of the UK; the Hon.Bob Carr, Minister for Foreign Affairs of Australia; H.E. Mr. S. M. Krishna, External Affairs Minister of India; H.E. Ms. Hina Rabbani Khar, Minister for Foreign Affairs of Pakistan; H.E. Dr. Ali Akbar Salehi, Minister of Foreign Affairs of Iran, and delegates of 55 countries and 25 international organizations. 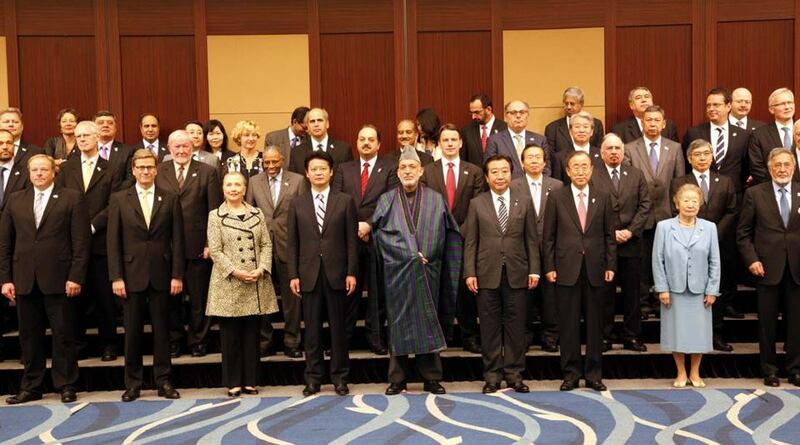 At the Tokyo Conference, the international community aimed to address its strategic message and to commit to supporting development efforts of Afghanistan towards its self-reliance during the Transformation Decade (2015 – 2024). To support this substantially, a partnership between the Afghan Government and the international community during the Transformation Decade was embodied. Mutual commitments and accountability of Afghanistan and the international community for the sustainable development of Afghanistan were clarified, and a mechanism under which this can be checked and reviewed on a regular basis was established (the Tokyo Mutual Accountability Framework). Afghanistan committed to implementing, effectively and with transparency, strategies for growth and development, based on paper Toward Self-reliance which details growth and development strategies throughout the Transformation Decade. Furthermore, Afghanistan committed to certainly implementing goals and indicators for the five areas of (1) Representational Democracy and Equitable Elections, (2) Governance, Rule of Law and Human Rights, (3) Integrity of Public Finance and Commercial Banking, (4) Government Revenues, Budget Execution and Sub-National Governance, and (5) inclusive and Sustainable Growth and Development, as well as their certain implementation. At the Tokyo Conference, the World Bank presented the results of its provisional calculations of the yearly average fiscal gap to 2017, which was either approximately $3.3 billion or $3.9 billion per year depending on the two kinds of growth scenarios. The Afghan Government showed its own estimate of the average fiscal gap to 2020, which was approximately $3.9 billion. At the Conference, the international community committed to providing over $16 billion through 2015. It was emphasized that since the Tokyo Conference in January 2002, Japan has played a leading role as the second largest donor behind the US in development assistance to Afghanistan, providing support totaling $3.3 billion till the end of 2011, across various areas including political processes, infrastructural improvement, basic human needs, industrial and agricultural development, and culture. Based on its past experience, Japan announced that it would provide up to around $3 billion of assistance to Afghanistan in about 5 years from 2012, in the field of socio-economic development and enhancement of security capacity, specifically stressing (1) agricultural sector, (2) infrastructure development and (3) human resource development. Japan expressed its intention to continue to provide contribution to the Afghan-led nation-building even after 2017 through assistance in those areas.. In addition, in order to further strengthen regional cooperation between Afghanistan and its neighboring countries, Japan announced that it is implementing projects worth around $1 billion in neighboring countries, and through these projects it would support the development of the corridor which goes across Afghanistan from Central Asia to Karachi in Pakistan. (1)Since the International Conference on Reconstruction Assistance to Afghanistan (Tokyo Conference) was held in January 2002, Japan has been playing a leading role in providing support for Afghanistan. The Tokyo Conference on Afghanistan represented the culmination of a series of negotiations with the international conferences which started in the Bonn Conference in December 2011, and brought to a conclusion this year. Based on the discussions on security and regional cooperation at conferences such as the NATO Chicago Summit, the Regional Economic Cooperation Conference on Afghanistan (RECCA), and the Istanbul Process ”Heart of Asia” Ministerial Conference, a specific path for sustainable growth in Afghanistan from 2015 was outlined at the Tokyo Conference, and a powerful strategic message, that Afghanistan would remain stable and be able to continue development beyond 2014, was delivered to the people of Afghanistan, as well as to the international community. (2)Japan took the initiative and secured high-level participation of the major donor countries such as India, Pakistan and Iran and international development organizations. Through long-term coordination efforts as a host nation, Japan was able to secure commitments from the international community for strong support totaling over $16 billion till 2015, as well as commitments from Afghanistan in the areas of development and governance. Japan also managed to demonstrate its presence in the international arena by newly establishing Tokyo Framework. (3)The result of the Tokyo Conference was that Afghanistan and the international community will enter into a concrete partnership with financial backing, under the newly formulated the Tokyo Mutual Accountability Framework Tokyo Framework. As the host nation of the said Conference, Japan will pursue follow-up efforts under its own initiative on the basis of the Tokyo Framework. It is important for Japan to continue playing a proactive and positive role with the international community in supporting Afghanistan.